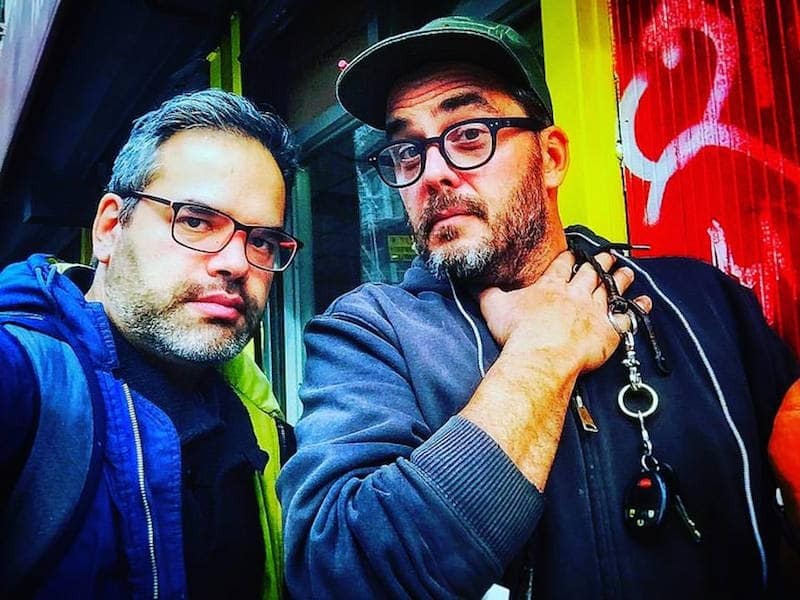 Gil arrived in New York City to meet and learn with Jimmy DiResta. Jimmy DiResta (born April 3, 1967) is a New York-based designer, artist, and video producer. He enrolled in the School of Visual Arts in 1986 and graduated, becoming an amazing maker and TV host. After these television experiences, Jimmy hit YouTube, posting build videos and building a huge following as he made and created interesting and unique items showing his workflow. Gil reached out to Jimmy and asked if he could come to the shop to help out. Of course, it didn’t take long before Gil’s energy and enthusiasm was noticed, and within a short time, Gil was jumping in and helping Jimmy with livestream on Instagram, and Jimmy’s youtube videos. Gil also took the opportunity to film some shop videos, a walkthrough of Jimmy’s shop before it moves upstate, and an interview with Jimmy himself. Below are the videos Gil made, as well as the videos from Jimmy and Raina who hung out in the shop over the three days. A huge big shoutout to Jimmy DiResta, whose openness and sharing attitude made the time spent in the shop an amazing experience. What Gil experienced was literally the model that every Makerspace should aspire to. Video 4: Jimmy DiResta – Making picture frames…. on the streets of New York! Video 5: Jimmy DiResta video log – introducing Gil to Jimmy’s audience. Video 5: Raina’s Universe video log – First day hanging out with Jimmy DiResta.